Over half of homeowners have had a bad experience with a builder, is it time for action to be taken? ‘Rogue Traders’, ‘Cowboy Builders’ – there’s a reason why these TV shows exist. It’s a sad fact that for all the skilled tradespeople around, there are more than a handful of swindlers who have neither the ability or, indeed, the intent to do a proper job on your building project. In fact, the problem may be bigger than anyone thought. According to research from the Federation of Master Builders (FMB) more than half of people who commission building work have had a bad experience with their builder. The research found a shocking 55% of people had a negative experience while just under a quarter (24%) would discourage or strongly discourage family or friends from using their builder. The most common problems people had with their builders include poor quality work, not turning up regularly, making mistakes, delaying completion and even trying to drive up the price once the contract had been signed. The FMB is now calling on the government to introduce licensing to stamp out rogue traders. And it seems consumers certainly believe action should be taken. A massive 90% of homeowners believe that the government should criminalise rogue and incompetent builders while 78% support a mandatory licensing scheme in construction to drive up quality, standards, and professionalism. A range of licensing schemes already exist in other parts of the world such as in parts of the US and Australia, and in some European nations such as Germany and Denmark. In these countries, the construction industry has a far better image as there are little or no unprofessional outfits offering their services. 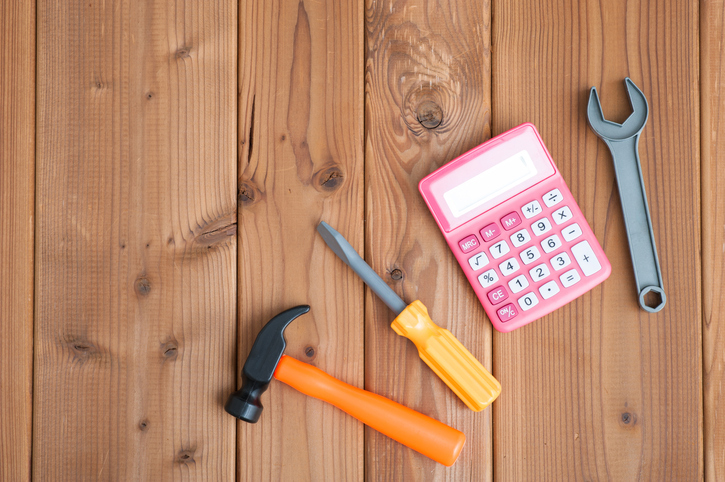 How can I finance my home improvement project? Kitchen renovation: where do I start? Hello Aasim, to start with try to resolve things amicably and if that doesn’t worked, ask for the trader or company’s complaints procedure. Hi Clare, so sorry to hear this. Are the builders members of a trade association? If they are, they could be your first port of call, if not, you could speak with the Citizen’s Advice Bureau. If you were to become a member of ours, we could set up a call for you with a legal adviser. Help we’ve been conned by cowboy builders, can you help? I took a Builder to Court for substandard workmanship, a small local based guy in Farnborough, Hampshire. I realised too late that he was unknown to FMB, DIDNT advertise, and belongs to no Trade Organisation ! His details were incorrect on Companies House too. He tried to blame me for his mistakes, and lied constantly. It is worth going through the hassle of Small Claims Court. I employed a professional Forensic Building Surveyor who identifid all his areas of substandard workmanship, with the Building Regs he had breached. Earlier this year the Court found totally in my favour in nearly every area of claim. I received substantial compensation. He received a CCJ. Always check if they are known to FMB ? Do they belong to a professional Trade Organisation ? If not, they are unaccountable ! Do they advertise on professional building sites, If not, ask yourself why ? Check Companies House, details correct and upto date ? Is their company dissolved, (mine was). Finally, check the online CCJ register ! They cannot hide their past. It may save you thousands of pounds and much heartache. After all prevention is better than cure. Hi Paul, thanks very much for your helpful tips. I have experience this year of taking such a Builder to Small Claims Court, and being successful ! I employed a small Builder in Farnborough, Hampshire, to carry out a home extension for me. Substandard workmanship was evident. I confronted him and he blamed me. I got professional second opinions, which he dismissed. I employed a Forensic Building Expert to compile me a report for Court, citing all the Building Regs breached. Again the Builder denied any wrong doing. We went to Court and I won virtually every area of claim. Is Builder recognised through FMB ? Do they use a professional trade body, do they advertise on professional sites. If not they are unaccountable. Check Companies House, are they dissolved ?? Are their details current and correct ? Do they show and charge VAT ? Finally, always check the online CCJ register. They cannot hide their past. For a few pounds, it may save you thousands of pounds and much heartache ! After all prevention is better than cure. I bought what was supposed to be my ‘dream home’ in July 2015. I spent 6 months fighting with Customer (dont) Care and senior Management to get more than 150 snags put right and had to move out for a week just before Xmas 2015 for them to gut my kitchen, rip up and replace flooring and redecorate the entire house, whilst I lived in a pub room. I moved back in one week prior to Xmas only to gain proof the water was contaminated with Pseudomonas aeruginosa bacteria (which I had been drinking, eating food cooked in, cleaning my teeth in and washing and bathing in for 6 months). Linden’s Chief Executive (Greg Fitzgerald) and Managing Director (Peter Youll) ignored this serious Health and Safety issue until I threatened to put the UKAS ACCREDITED Microbiologist Water reports into the hands of the media. Linden then forced me out on 19/01/2016 and I’ve NEVER been able to go back. I was forced to live in a hotel bedroom for 12 weeks, moving hotels 3 times, Linden acting on threats to cut off reimbursing my hotel bill, at one point my credit card bill rose to £11,000. I had to find my own temporary alternative accommodation because Linden ignored my pleas to be rehoused and ended up in the only rental property that would allow my cat, a house, half the size of mine, living out of boxes for 16 months in a rough part of central Southampton after I had purchased in a nice leafy part of Sarisbury Green. I later discovered I was living in studentland enduring drunks vomiting and urinating outside my front door and against the side wall of the house and then local drug dealers became prevalent doing deals directly outside my bedroom window on a daily basis. Linden changed the locks to my house in April 2016, walked away in August 2016 and refused to make my house fit for habitation, after lying to the media that they were ‘committed to finding a solution as soon as possible’ yet refused to give me my money back and refused to give me my house keys back to this day, so 6 months after they walked away I had no choice but to have all the locks changed to prevent them continuing to have free access to MY house. I sent the Invoice to Peter Truscott, Galliford Try (Linden’s parent company) CEO, who ignored me, as he has done for over 2 years. Then Linden Homes had their solicitors serve me by a Court Official with eviction papers to throw me out of the rental with nowhere to go. Their solicitors wrote stating Linden was only agreeing to make my house ‘fit for habitation’ as a “gesture of goodwill” and “they were no longer prepared to”. I’ve now been in a second temporary alternative accommodation rental property for nearly 10 months after I sued the NHBC for breach of contract since once Linden walked away the NHBC had a contractual obligation under my 10 year Buildmark Warranty, to fix my house, but the NHBC (the Warranty Provider) who is working with Linden Homes against me, refuses to pay anymore rent so has forced me into rent arrears when I’ve had to continue paying my mortgage of more than £1200 a month on a house ‘not fit for purpose’. I’ve paid £35,000 so far in mortgage payments since Linden forced me out in January 2016. I have packed and unpacked a total of 8 times in 2.5 years, on my own as a single woman because the house Linden Homes sold me was not fit to live in. Fareham Borough Council then had me served with a Court Summons for non payment of council tax on my uninhabitable house since I cannot afford it because I am paying council tax on the rental property I am forced to live in. I am paying bills on two properties. Standing charges on my uninhabitable house and bills on my rental property. How can any of this be right or fair. I managed to get myself a reprieve from appearing before a Magistrate in June but I have now been served a new Court Summons to appear on 01/08/18. Linden Homes are corporate thieves, in my opinion, because they have my money for a house I purchased from them that is no good to me. I have not been able to live in it or enjoy it yet have still had to keep paying a mortgage on it yet I cannot sell it either…. and even if it was ever made ‘fit for habitation ‘ now, who would ever buy it with its history. The NHBC who is supposed to be there to protect us, the new home purchasers and policyholders is no better as has been reported in the Guardian as instead of using OUR money to fix OUR shoddy houses and compensate us, they pass OUR money back to the builders in incentive payments. All in the public domain if you Google The Guardian NHBC. Linden Homes and their solicitors and the NHBC and their solicitors have bullied me for 2.5 years between them, trying to break me. I suffered a nervous breakdown and have been signed off on long-term sick leave since February 2016, so am managing all this financial stress and worry on just sick pay. I was taken to A&E by ambulance last year with a suspected heart attack and the hospital put on their report it was no doubt all the stress I was under. THAT is how unscrupulous Linden Homes and the NHBC is…..a ‘class action lawsuit’ is needed. The way Linden Homes (and the NHBC) has and continues to treat me is nothing short of inhumane. SORRY this is long but I will do ANYTHING to help save anyone else from going through the heartache I have and still am going through at the hands of these evil and corrupt people and to stop them from ruining anyone else’s lives. It’s not just the little builders….these big builders are far worse. Solicitors and conveyancers support cowboys. My brother and his sons and daughters have all had several houses built in Perth Australia, all done perfect because builders have to be registered and the council are very strict indeed. One kind of rogue that found me did a reasonable job at a reasonable price, then found “other problems” (not urgent at all) and wanted to charge me at least double a reasonable price to do it. A big insult to my intelligence, and a small loss to their word-or-mouth reputation. When I lived abroad all competent tradesmen carried a card to prove they had undertaken the necessary training/apprenticeship etc. Here it seems anyone who has done a 3 month course can ply their trade with no comeback. It is about time the government did something about all these cowboys who are ripping people off – especially the elderly. This is long overdue. Too long have homeowners been at the mercy of unscrupulous so-called builders Seems anyone can claim to be a builder without any qualifications of any kind. How can we help to make this licensing scheme as reality as soon as possible?